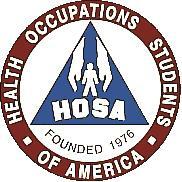 Health Occupations Students of America (HOSA) is a national vocational student organization endorsed by the U.S. Department of Education and the Health Occupations Education Division of the ACTE. HOSA's two-fold mission is to promote career opportunities in the health care industry and to enhance the delivery of quality health care to all people. HOSA's goal is to encourage all health occupations instructors and students to join and be actively involved in the HOE-HOSA Partnership. "From lending hands and open hearts, HOSA plays a caring part." RELAY FOR LIFE STARTS NOW!!!! HAPPY HOLIDAYS AND A PROSPEROUS NEW YEAR!!! SEE ANY HOSA MEMBER,OR STOP BY TERRI ELLIOTT'S ROOM (room 604) AND TALK TO HER. Thank you for visiting WBHS HOSA's site!! !